Sinusitis is commonly found problem that is seen in people of all ages. Generally, it follows flu, fever, runny nose, pain and pressure and as per medical experts, it is of several types. Acute sinusitis, Chronic Sinusitis, recurrent sinusitis and subacute sinusitis are four types of different sinusitis. All four types show different symptoms and problems. Acute sinusitis and Chronic Sinusitis are two famous types. In acute sinusitis, the patient covers up in some days; however the chronic sinusitis lasts very long. 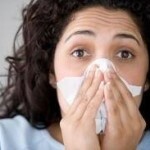 Here, you will learn about various sinusitis types, symptoms and its treatments. It is true that sometimes, sinusitis causes inflammation in sinuses. This inflammation may occur inside the nose or nasal passages. The condition makes a person feel irritating and painful. Due to inflammation, some healthcare experts call it rhinosinusitis. Apart from this name, people also call it sinus infection. It is because in most case, it occurs due to infection, but not always. Thus, inflammation associated with sinus infection may interrupt one to concentrate on work and also won’t let a person have sleep. So, it becomes mandatory to get right cure. If the symptoms remain with you for less than four weeks of time, then it is certain that your issue is acute sinusitis. This condition can be categorized in two types in which one is acute bacterial rhinosinusitis and second is acute viral rhinosinusitis. In both types, AVRS is common type, hence ABRS is rare one. AVRS influences around 98% acute sinusitis patients. The chronic sinusitis is divided into three types that include allergic fungal rhinosinusitis, Nasal polyps rhinosinusitis and without nasal polyposis rhinosinusitis. It is found that 1 out of 3 people are found with nasal polyps rhinosinusitis condition. 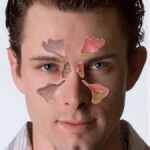 Here, the nasal polyps are meant to be the clear masses fill up with gelatin that looks grey, white or yellow colored. It develops in paransal sinuses. The condition gets diagnosed when this polyps present in both nasal sides. This problem occurs with people having simple immune system. People who are sensitive to nonsteroidal inflammatory drugs or aspirin generally get to this type of chronic rhinosinusitis. The problem for allergic fungal rhinosinusitis has found in only 1 out of 10 people. This is not a common issue. People who suffer from this type of chronic sinusitis sometimes may and may not have polyps, but they certainly have particular allergy from particular fungus types. In condition of allergic mucus, the fungi develop inside the sinuses or nose. The allergic mucus occurs due to some certain kind of chemicals. It generally creates problem in smooth breathing and makes sufferer feel uncomfortable as well. To make it correct, it is necessary to visit a doctor and get immediate cure for the same.